Silane crosslinking is an established process that improves the performance of cables. In comparison to thermoplastic polymers, crosslinked polymers achieve much better results when it comes to resisting heat, deformation, and weather effects. How precisely silane can be metered during continuous plastics processing has a direct influence on the quality of the end product. 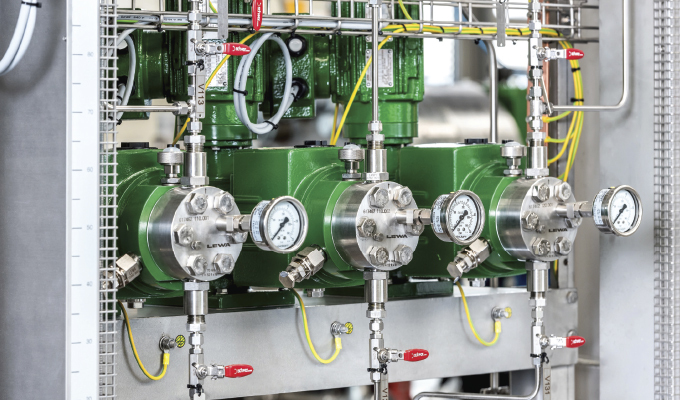 This is why fast and precise control of the flow rate must always be guaranteed—even when different types of silane are being used for different products. LEWA GmbH from Leonberg, Germany, has a customer that faced this very challenge. The customer is a cable manufacturer that uses various types of silane as crosslinkers and adhesion agents to produce cable insulation. In order to ensure uniform product quality from various manufacturing sites around the world, the company decided to go with ten metering systems made from outstandingly durable materials. At its core, the customer’s system depends on the reliable LEWA Ecoflow diaphragm metering pumps in combination with the company’s proprietary “LEWA Smart Control” technology and a high precision mass-flow meter. Continuous guide signal and measuring instrument feedback ensure sensitive and prompt control with only very minor deviations. Since the metering systems are being used worldwide, minor modifications were necessary for adapting to national regulations. Silane crosslinking is an established process that improves the performance of cables. In comparison to thermoplastic polymers, crosslinked polymers achieve much better results when it comes to resisting heat, deformation and weather effects as well as electric flow and creep behavior. In addition, the process has the advantage of requiring much less energy for the procedure compared to similar methods such as radiation crosslinking. The results are lower operating costs for production and environmental conservation. One company that uses this process is a customer of LEWA GmbH. 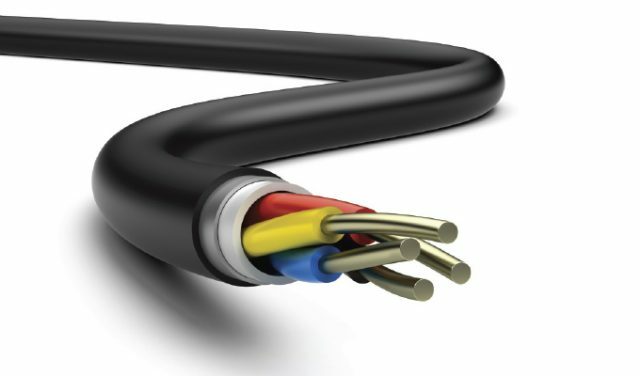 Depending on the application and product, the customer (a cable manufacturer) uses various types of silane to produce cable insulation, such as aminosilane or vinylsilane. Since silanes are usually highly flammable as well as highly reactive in combination with atmospheric oxygen, the systems used for metering must make safe handling possible. For these purposes, the company has been relying on customized metering systems from the LEWA pump experts for many years now. The production expansion in 2016/2017 was no exception. The company was looking to buy systems for plants in Brazil, Colombia, and Peru. And once again, they opted for the experts from Leonberg. The customer’s central solution requirements were reliability, safety and precision. LEWA was able to offer a solution that met these requirements, both technically and economically. The LEWA Ecoflow diaphragm metering pumps are the core of the new systems. 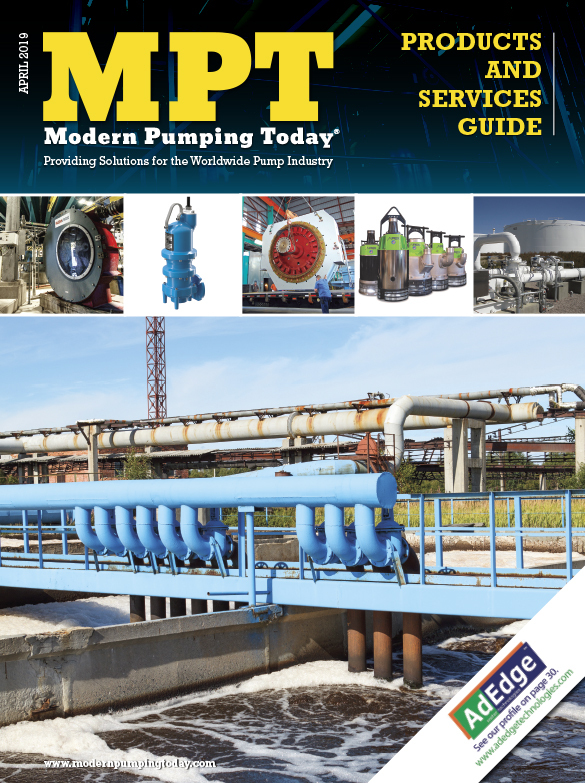 Customers have the option to select from a variety of pump head types (diaphragm or packed plunger pump head), materials and surfaces, which means that their systems can be built to handle a wide range of fluids, including flammable, toxic, abrasive, viscous, environmentally harmful and sensitive fluids. The Ecoflow series can be used for flow rates up to 5,000 gallons per hour per pump head and discharge pressures up to a maximum of 1,200 bar. Tank sizes also vary between 16 and 63 gallons per hour. The hydraulically actuated pump heads stand out in particular for their high operating reliability as well as a long service life, which is made possible by features such as the patented diaphragm protection system (DPS). This ensures that the pumps remain hydraulically stable even in the event of accidents or operating errors. As a result, the pumps are extremely reliable and have low maintenance and operating costs. The systems have also been adapted to the customer’s specific requirements. This way, it is possible to make modifications to the flow rates, connection voltage, system hierarchy and product supply without a hitch. At the same time, it was also necessary to construct the systems in accordance with the valid regulations of the country of installation—for example relating to implementing explosion protection. Beyond that, the visual displays were each delivered in the language of the specific country. Another one of the purchaser’s requirements was that it be possible to use the systems universally for different silane liquid types. LEWA met this requirement by using high-quality materials. Stainless steel was used for the pump housing and PTFE was used for the sandwich diaphragm. These materials show hardly any wear, even when pumping aggressive fluids. The LEWA Ecoflow diaphragm metering pumps are the core of the new systems. 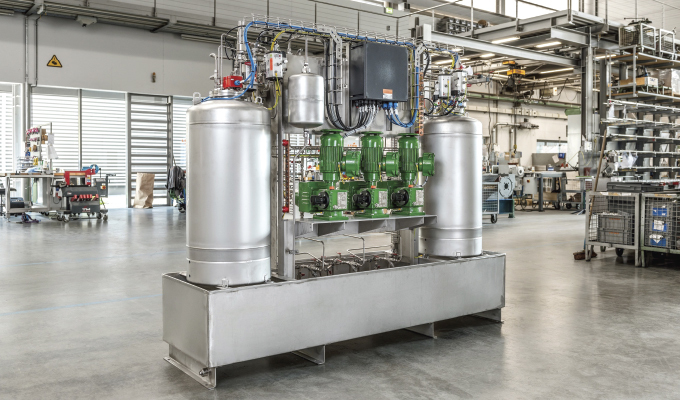 Thanks to their modular design, the systems can handle a wide range of fluids, including flammable, toxic, abrasive, viscous, environmentally harmful, and sensitive fluids. LEWA took a variety of steps to guarantee the level of safety required by the customer for the handling the silane being used. These steps included designing the system in accordance with Ex-Zone 2 and equipping it with continuous monitoring for certain parameters such as fill level, flow rate and pressure or diaphragm status. Additionally, an inert atmosphere is created by nitrogen blanketing. The reliable “LEWA Smart Control” controller allows for intuitive operation using a color touch panel directly on the control cabinet. The controller is integrated into the higher-level system control. Among other features, the touch panel delivers a general graphic overview of the individual processes and parameters as well as a summation of production related data. This data can then be used as a foundation for initial analyses in the event that maintenance should be required. Using an optional data connection, LEWA is able to connect to the system directly and provide support from their headquarters in Leonberg. This data connection even allowed LEWA to provide the customer with support during commissioning. Thereby, the process was able to be significantly shortened. LEWA Smart Control guarantees metering accuracy. The controller handles this by carrying out a variance analysis and then instantly adjusting the flow rate as necessary. Moreover, LEWA also fulfilled the third essential requirement—the requirement for accuracy—using LEWA Smart Control. The controller handles this by carrying out a continuous variance analysis and then instantly adjusting the flow rate as necessary. For the alignment, a high precision mass-flow meter is used as a measurement instrument for the actual value, and an external 4-20 mA guide signal is used for the target value. The customer also receives information on the status of the system by comparing the current flow rate for a specific point of operation with the flow rate stored in the controller for that operating point. 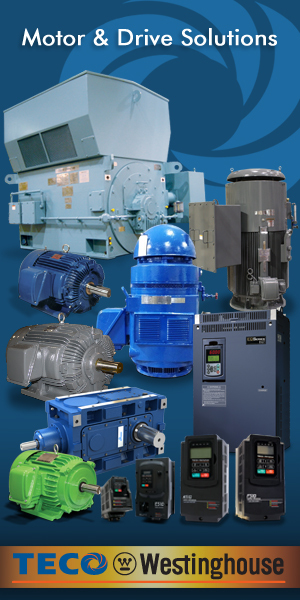 For even greater reliability, the systems also each feature a redundant metering pump. To ensure optimal reproducibility, consistency and product purity of the plastics, it is necessary for the silane to be metered precisely and independently of external influences. The fact that the customer once again called upon LEWA to implement this process at various plants shows that our company has truly earned the trust of this customer thanks to our technical expertise. Roland Schwab is product manager at LEWA GmbH. LEWA GmbH was founded as a family company by Herbert Ott and Rudolf Schestag in 1952. Today it is the world’s leading manufacturer of metering pumps and process diaphragm pumps as well as complete metering packages for process engineering. The Leonberg, Germany-based company developed into an international Group within a few decades and saw further improvement in its position on the world market as part of integration into the Japanese Nikkiso Co. Ltd. in 2009. As a research and production-oriented company, LEWA develops technologies and provides solutions for the vast array of applications among its customers. Its products are used mainly in the oil and gas industry, in gas odorization, in refineries and petrochemicals, as well as in the production of plastics, detergents and cleaners. Additional application areas include the chemical industry, cosmetics industry, pharmaceuticals and biotechnology, food and beverage industry, and energy utilities. LEWA currently employs around 1,200 people and owns fourteen subsidiaries around the world along with having eighty representatives and sales offices in more than eighty countries. For more information, visit www.lewa.com.